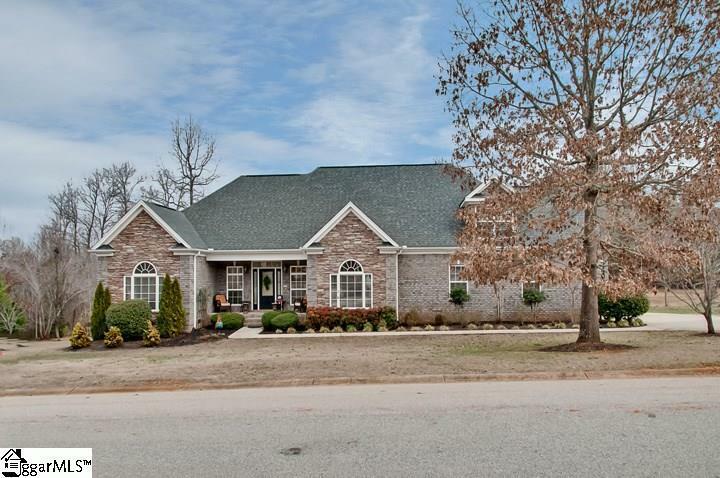 This solid brick home is situated on a level yard and in the cul-de-sac. The custom built homes has over 3300HSF of features that are sure to make you gleam with pride. 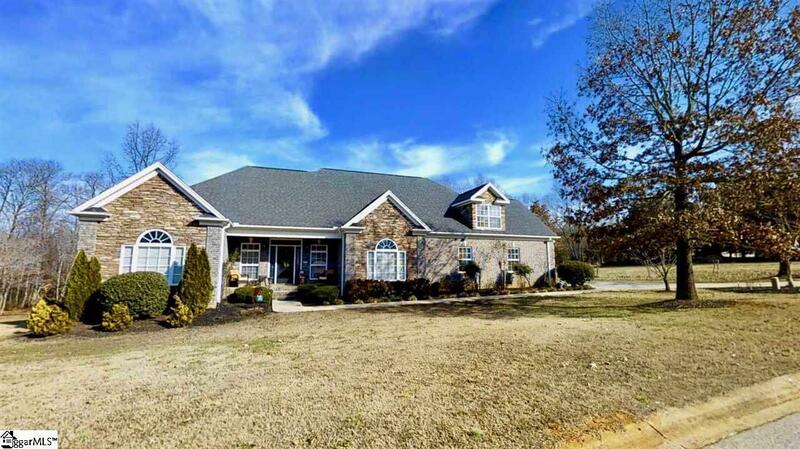 Welcoming you is the rocking chair front porch to this 4 bedroom 3 .5 bathroom split floor plan for privacy home features true hardwoods through most of the main level living area. Crown molding enhances the ceiling in most every room and there is chair railing in the Foyer and Dining room, which also features double pan ceilings, and true wainscoting. Large Pella windows are in every room providing lots of natural light even on a gloomy day. There is recessed lighting that accents the ceilings in the Master, Kitchen, Great room, Hallways and front bedroom. 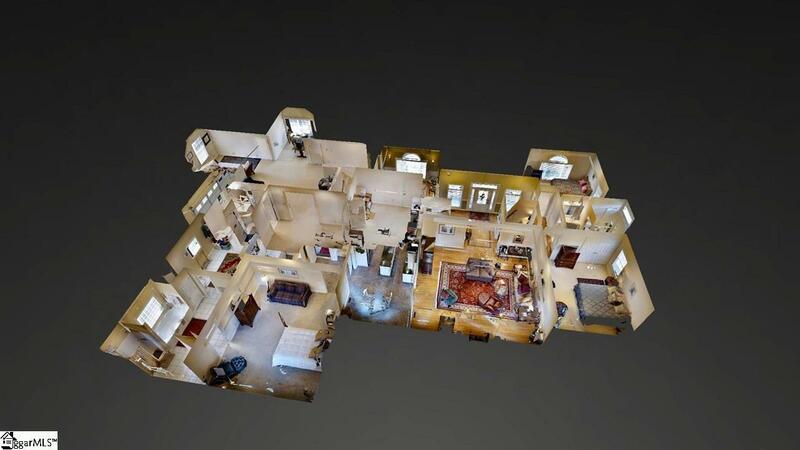 As you enter the home in the wide foyer you are greeted by the Great Room (20x19) that has a stately gas fireplace centered on the back wall, a thick coffered grand ceiling, tons of natural light and usable wall space. Off to the right you enter the bright kitchen with stile stone counter tops and center island with storage and electricity, lots of counter space, and walk-in pantry, stainless professional series Frigidaire stainless appliances and smooth cook top. Sit at your breakfast room table overlooking the peaceful private wooded backyard. The (18x16) Master suite is off in the back of the home where you can quietly escape to your peace of tranquil haven. Master bath has 2 sinks high vanity, separate shower and large deep jetted tub with private toilet area. The mater closet is its own sanctuary with vanity sitting area and mirror for getting ready, tile flooring, & 2 built in storage areas. There are two other bedrooms (15x14) & (12x12) on the main level off on the left wing of the home that also have a full bath with two sinks, tub/shower combo, linen closet and tile floor. Upstairs is the 4th bedroom (22x22) with two large dormers overlooking the private cul-de-sac, large walk-in closet used as sep. office, and 4 different attic accesses for additional storage, and a full bath! This is an awesome room for company staying over, teen suite, office, or a bonus room. The laundry room is located near the kitchen, garage and master suite off the oversize back hallway that has built-in cabinets, laundry sink and tile flooring. The back deck has been water sealed and is great for grilling, eating a meal, entertaining or relaxing in a private setting viewing the wooded backyard. The home is pre-wired for security, as well as a central vacuum system, the roof is a 30 year architectural roof with mold retardant rated protection. There are two 50 gallon water heaters to ensure no loss of hot water, and the multi unit HVAC system is Comfort Maker. The garage has the high end floor coating along with extra room for a workshop area and large walk-in closet storage. Winter Mountain views off the back deck of Hog Mountain and from the front porch you can see Paris Mountain. 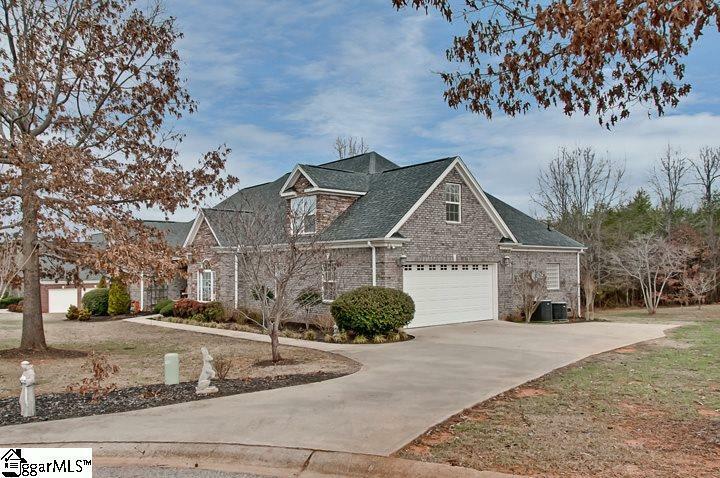 This a true treasure of a home close to downtown Greenville, Greer, Spartanburg, Hospitals, Shopping and Eateries! Listing provided courtesy of Victoria Cottle of Keller Williams Grv Upst.